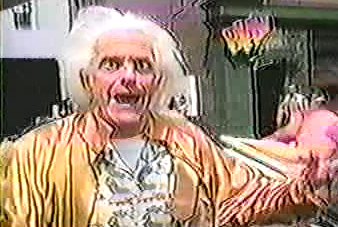 Doc Brown: Th-The-There! I did it! 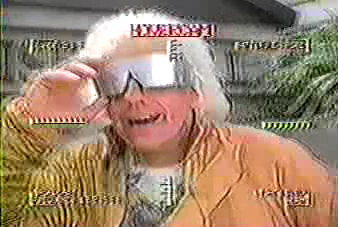 Doctor Emmett Brown here. Please pardon the crudity of our broadcast signal, but I'm coming to you from the year 2015. I've managed to rewire this hovercam so that I can beam transmissions to you people back in the present. 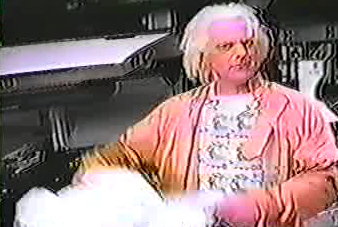 Doc Brown: Unfortunately what I'm about to tell you is of potentially cataclismic proportions. Brace yourselves time travel volunteers - this is he-hev-heavy! 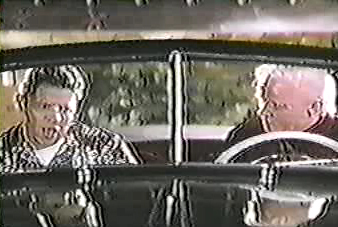 Doc Brown: It seems that Biff is lose somewhere in time. But just where or rather when he is, I'm not quite sure. But keep your eyes open, the one thing I do know is that Biff will most certainly use time travel for his own peronal gain, as he did when he got a hold of this. 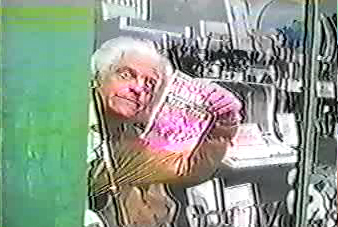 Doc Brown: It was right here that Biff found the sports almanac and devised his devilish plan. By stealing the DeLorean and traveling back to 1955 with the Almanac Biff was able to give himself forbidden knowlege about the outcome of every major sporting event for the next 50 years. Biff: All you gotta do is bet on the winner and you'll never lose. Doc Brown: And the result was catastrophic. Biff had succeeded in creating a nightmare-come-true. 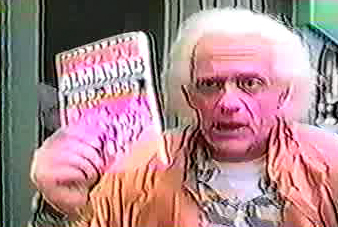 Luckily, we were able to regain the almanac and restore the space-time continuum. But believe me, that isn't my idea of fun. Doc Brown: I cannot stress enough that bringing back even the smallest item from the future can create the most incredible complication. Once again time traveler volunteers, Information from the future must not be abused - As this Zemeckis-Gale diagram clearly shows. But for that reason Biff must be stopped. I will be returning to you at the institute shorty so remain calm. We will proceed with my plan as scheduled. You will be sent one whole day into the future. It may not seem like much, but any more than a day might be a shock to your system. Crossing the time barrier is not for the weak at heart. One more thing, when I send you one day into the future if you should happen to see yourself in line: Don't say hi to yourself! Trust me on that one.